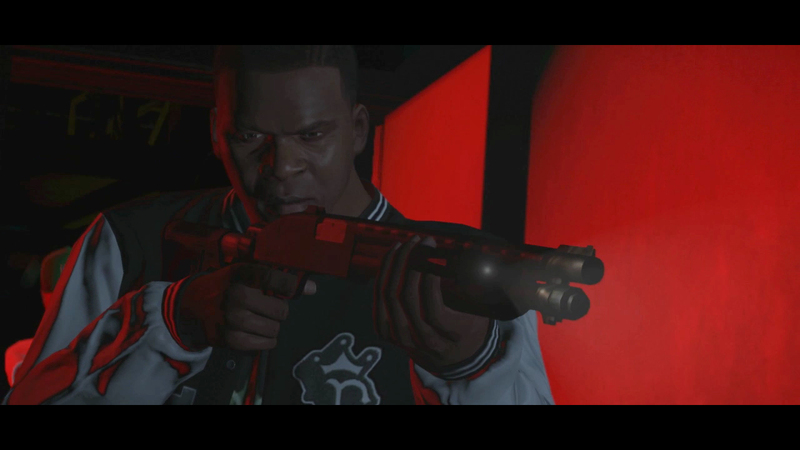 Rockstar Games have released two BRAND NEW OFFICIAL GTA 5 SCREENSHOTS on their newswire today. Check them out below! 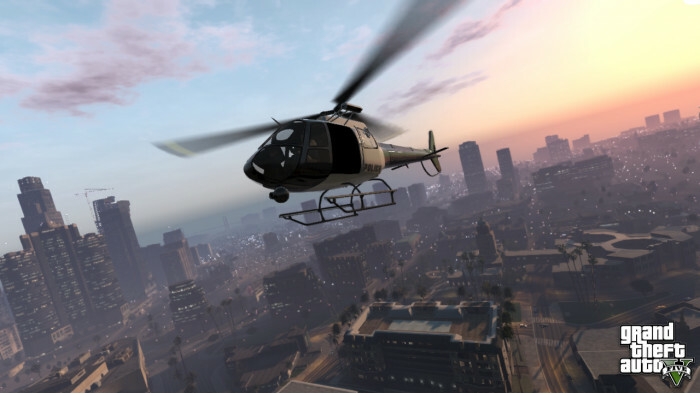 Updated police helicopter since first trailer. Foreground is based on Beverly Hills with B.H. City Hall being the small tower under the helicopter's tail. Right behind that is Via Rodeo Drive where the Bugstars heist in the trailer took place. Off to the left is Downtown. Right of that in the far distance is the Port of Los Santos with the Vincent Thomas Bridge (real life name). This is where the jetski was during the trailer. Under the chopper is Little Seoul (real life Koreatown). On the far right of the screen is the golf course. Up towards the end of draw distance on the right half of the screen is the area based on Santa Monica with Pleasure Pier at the very beginning of the trailer. This is based on Echo Park Lake. Downtown in the distance towards the left. You can see the blimp. As we have said before, we have often had long gaps between asset releases on previous games and will continue to do so in the future. We are sorry if you find this frustrating, but please understand, we don’t do this because we ‘don’t care about our fans' 'don’t respect our fans’ 'hate GTA fans etc' – precisely the opposite! We do it because we want to make sure we only release 100% correct information, and because we want to keep plenty back for the actual game release so there are still lots of surprises when you play it. The only things we care about are that you enjoy the experience of actually playing the game and that we release accurate information. We just have not been in a position to show more of the game than the trailer and will not be for a while yet. We did, however, manage to sneak a quick screenshot out for you… it’s not much, but we thought it was pretty fun. We will try and get some more screens for you soon and then another trailer when we are ready. Now that we’ve announced GTAV, all the way up until game launch (and probably beyond) there is going to be no shortage of non-stop hoaxes, faked footage and screens, rampant rumors and speculation. As a rule, we are not going to get into the game of confirming or denying each of these as they happen as there is simply too much of it. Half of them we don’t even understand - for example, we have no idea what ‘the build model’ is, so have no idea if it is complete or not! Instead, we’ll leave it to fans like yourselves to decide what’s legit and what’s phony. Please assume if you don’t hear it here, it is probably mostly fakes and almost definitely not the complete truth. One thing we’ll say definitively though is - there is absolutely no ‘beta’ test for the game. If you see ads or solicitations to join a beta program, beware as this could be a dodgy online phishing scam. The city was simply too small for effective and enjoyable flying. It was the first time we made a high definition open world, and it was a massive amount of work to make something on that scale - we simply could not make an environment big enough for planes to work properly. Fear not, they are returning in what is our biggest open world game to date. Amazing! 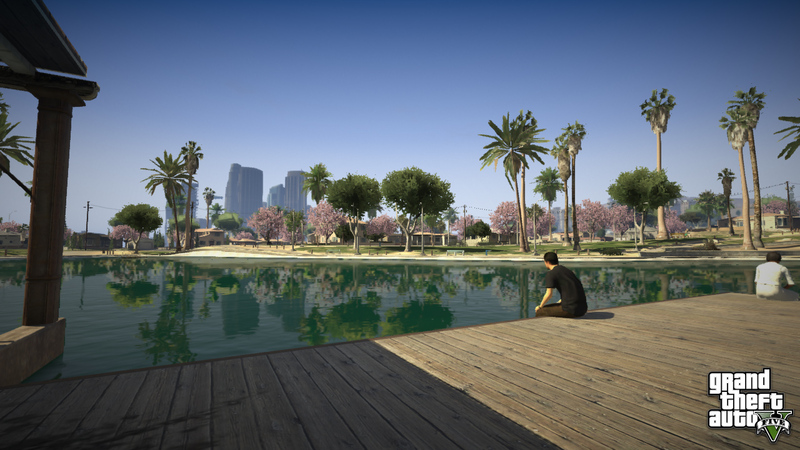 Join the GTA 5 forum discussion about these screenshots here. I think this game will be good but story must be good. About 5 months apart give or take a couple months (3 to 7 months apart the past few years). How often does Rockstar do A&A ? I hope they bring back some of the same cheats, from Gta3 and San Andreas. New Official GTA 5 Screenshots - Rockstar Games have released two new GTA 5 screenshots on their newswire.